Usually the cardboard box in which the product was originally sent in can be used. YOU MAY ALSO LIKE. disc scratching caused by hardware. United Kingdom. - Team up with friends in eight-player online multiplayer and four-player split screen modes. The sort of driving you want to do when no one else is looking. The sort of driving you’d love to do if only everyone else would get OUT OF THE DAMN WAY! It’s about speed, driving skill and beautiful powerslides around epic corners. 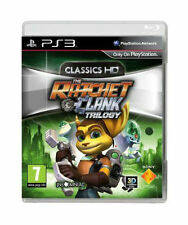 BRAND NEW & SEALED GAME l FREE UK POST l OUT NOW!! Moss is an exciting addition to the current marketplace. Quill is the brave new hero of Moss. Moss brings players into the world. The Moss Story. The overall quality is a key reason players feel they’ve been transported into the world. Hello Neighbor: Hide & Seek follows the tragic story of the Neighbor’s family in this dramatic prequel to Hello Neighbor. New & Sealed. When can I expect it to arrive?. When will my order be dispatched?. BRAND NEW & SEALED l FREE UK POST l OUT NOW!! Embark on an all-new LEGO® adventure by becoming the best villain the universe has seen in LEGO® DC Super-Villains. Never have players ventured through the LEGO universe from the unique perspective of a villain. As Ben Tennyson, it's up to you to save the world. Unlock and transform into all ten of Ben's incredible alien forms. Dispatched within 24 hours. The story takes us back to the events that led to the start of Jak IITM. The LEGO Movie Videogame (Sony PlayStation 3, 2014). Condition is Good. Dispatched with Royal Mail 1st Class Large Letter. Break. Build. Battle. Break, build and battle with the Gunpla you've always wanted in New Gundam Breaker! - Battle: Put your custom Gunpla to battle! Team up Collect more Gunpla parts with other players as a team of 3 Team up with other players in threes online in a competitive co-op mode, break and collect more Gunpla parts than opponent team. Play as your favourite character. Explore new worlds. Be a Master Builder. Condition is Good. Minecraft: Story Mode - Season Pass. £17.99. Minecraft: Story Mode - Season Pass Deluxe. £28.99. Season Pass Deluxe to get all episodes included in the standard Season Pass (Episodes 1-5) and the Adventure Pass (Episodes 6-8), in this episodic series set in the world of Minecraft. LEGO Batman 2: DC Super Heroes (Sony PlayStation 3, 2012). Condition is Good. Dispatched with Royal Mail 1st Class Large Letter. PS4 Game - Minecraft - Playstation 4 Edition - VGC . 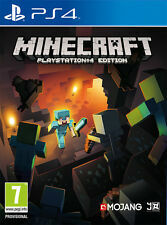 5 out of 5 stars - PS4 Game - Minecraft - Playstation 4 Edition - VGC . 77 product ratings77 product ratings - PS4 Game - Minecraft - Playstation 4 Edition - VGC . Watch out though, the enemy will be coming for you, too. Chop through spider webs, annihilate enemies and create new paths and platforms for Captain ASTRO to investigate. VIRTUALLY INCREDIBLE Look in every direction and lean around corners with 360º vision, judging each death-defying jump and experiencing a mind-blowing sense of scale. LEGO Harry Potter: Years 1-4 is based on the first four books and films—Harry Potter and the Philosophers stone ™, Harry Potter and the Chamber of Secrets ™, Harry Potter and the Prisoner of Azkaban ™ and Harry Potter and the Goblet of Fire ™—allowing fans to experience Harry's first four years at Hogwarts School of Witchcraft and Wizardry in full LEGO form. 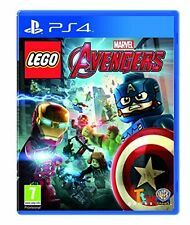 LEGO City Undercover PlayStation 4 (PS4). Condition is Very Good. Dispatched with Royal Mail 1st Class Large Letter. BRAND NEW & SEALED l FREE UK POST l OUT NOW!!!! LittleBigPlanet is a. well, it doesn't really fit into any category you ever heard of, so we'd probably best just describe it. We'll start with the more recognisable stuff - platforming. What really sets it apart, however, is the physics and the ingenious level design. Rack up the table with stunningly photorealistic visuals and take your shot at becoming a pool legend. Order Instructions. LEGO Indiana Jones: The Original Adventures (Sony PlayStation 3, 2008). Condition is Good. Dispatched with Royal Mail 1st Class Large Letter. Sonic & Sega All-Stars Racing (Sony PlayStation 3, 2010). Condition is Good. Dispatched with Royal Mail 1st Class Large Letter. THE ORIGINAL ADVENTURES. Explore the globe and solve puzzles that encourage creative thinking through the use of teamwork and unique building situations only possible in a LEGO world. INDIANA JONES. Create unique playable characters like Sallah Scott or Mola Round by mixing and matching the LEGO body parts of all playable characters. Crash Bandicoot Action Pack (Sony PlayStation 2, 2007) - European Version. Condition is Very Good. Dispatched with Royal Mail 1st Class Large Letter. Each character must pull their weight and traverse the world to safety. Dante the cowboy is capable of climbing vertical walls. Play Single player or Co-op to solve puzzles! Great care is taken when handling your order and our professional staff will wrap your item and dispatch your order as soon as possible. The Legend of Spyro: Dawn of the Dragon (Sony PlayStation 3, 2008). Condition is Good. Dispatched with Royal Mail 1st Class Large Letter. Sony PlayStation 3 Minecraft Story Mode. Condition is Very Good. Dispatched with Royal Mail 1st Class Large Letter. Disc is clean with no markings. No manual. 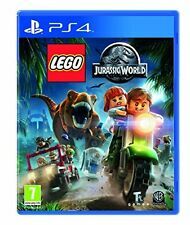 LEGO Jurassic World (Sony PlayStation 3, 2015). Condition is Acceptable. Dispatched with Royal Mail 1st Class Large Letter. Comes with manual. Journey -- Collector's Edition (Sony PlayStation 3, 2013). Includes Journey, Flow and Flower. Condition is Very Good. Dispatched with Royal Mail 1st Class Large Letter. LittleBigPlanet (Sony PSP, 2009). Condition is Good. Dispatched with Royal Mail 1st Class Large Letter. Smoke free home.